Today we honour the wonderful British tradition – the cream tea. 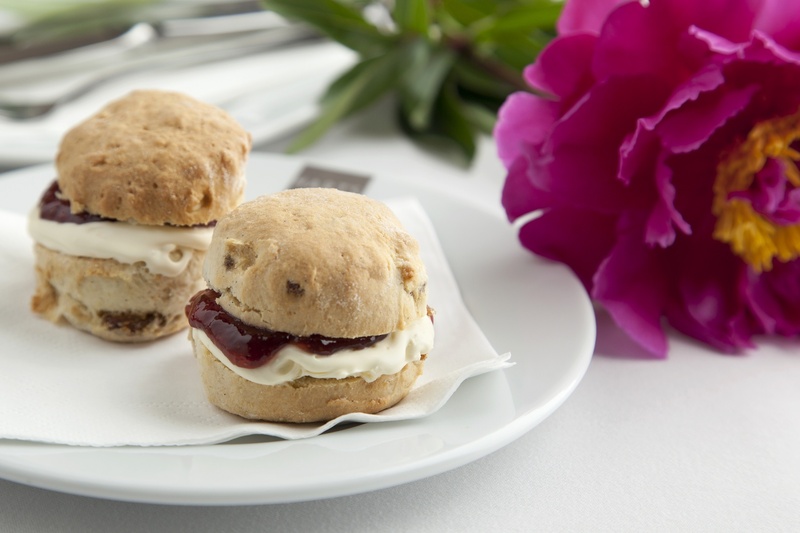 We will be serving our home-made scones, so if you would like to enjoy your cream tea in style this afternoon pop into the Park Bar. More modest than its ostentatious cousin afternoon tea, the cream tea is a simple affair of scone, jam and cream. It originated in the West Country in the mid-19th century following the opening of the railways. Trains brought tourists, and visitors to warm southern seaside towns wanted hotels, cafés, tea rooms and farmhouses. Local businesses obliged, offering delicious cream teas made with the finest local ingredients, and a beautiful British tradition was born. Of course, we couldn’t possibly overlook the cream tea seen as we bake the best scones which we use in our afternoon tea! 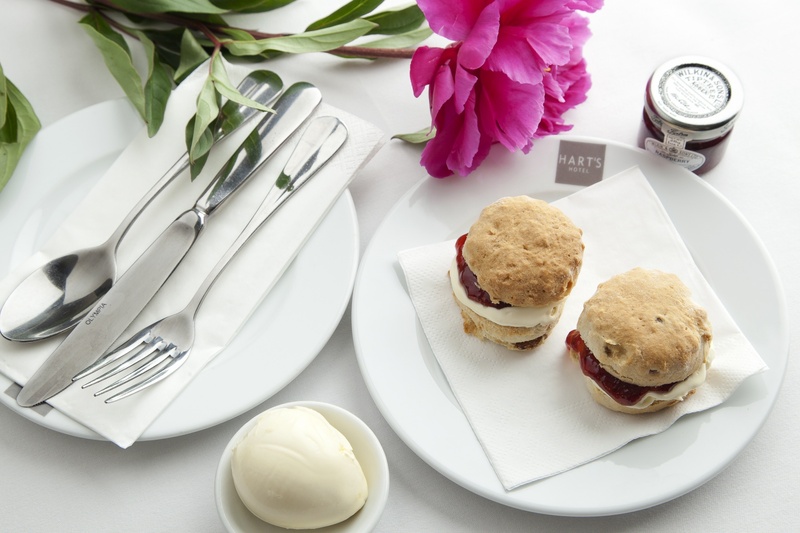 You can enjoy a buttery home-made scone, fruity jam and clotted cream at Hart’s. What fruity jam is your favourite? Which is your favourite scone?